August 16, Venue Nightclub. I remember my first tattoo – do you? I had just turned 18 and realized that I had managed to survive 18 years on this godforsaken planet, and that I could finally get a tattoo without my mother's permission. It was a pretty important moment in my life: I was independent, I had freedom, and I wanted to get that moment of realization permanently inked onto my shoulder blade. The Greyscale Tattoo Convention was interesting in the way that something intimate and personal could become public, with the tattoo artists working on people's skin out in the open, in the space provided by Venue. And yes, you could watch them get their tattoos done. When I went to a parlour for the first time, I brought my best friends along to watch the process. It's exciting to watch a penned drawing transform into permanent artwork on human skin, like magic. The playlist at Greyscale was chill, and the space used bright lighting that contrasted the sea of black-on-black outfits, black walls, black booths, and black floors. The layout was well-designed, with a multitude of artists working along the front and sides of the stage. 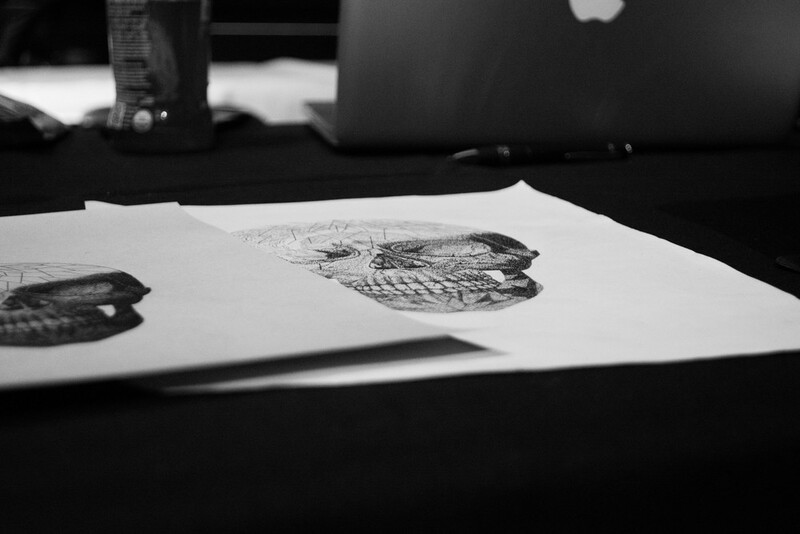 Every artist has a different style, showcased by their handy portfolios, and getting to know their style is important in choosing what you want in a tattoo. Personally, I was fond of the stick-and-poke style of Colin Cej, mostly because I don't have anything on my body in that style – yet. The vendors at the convention procured handmade candles (i.e. Black Candles Society) and clothing (e.g. DEADBEAT x DEADZONE, Pretty Bstard), and are all artists in their own right. I can really see this concept progressing yearly featuring more booths and tattoo artists, as interest builds up and the market widens – tattoos are, after all, becoming more socially acceptable with each day. In the future, babies and their grandparents will have beautiful sleeves of artwork. Trust me, I'm psychic. The Greyscale Tattoo Convention was a fun get-together that united people from various communities concerning artistry, in all its forms. 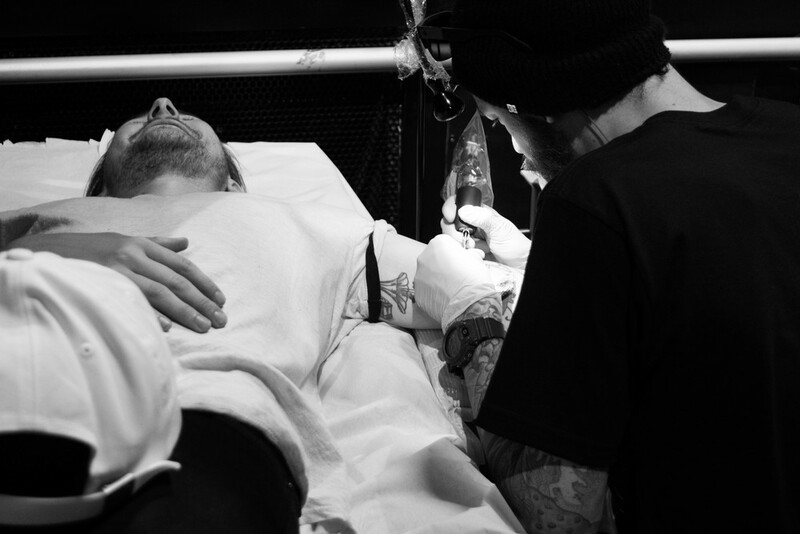 Furthermore, being able to interact with a large volume of tattoo artists within a short period of time can definitely push you to get that tattoo you have wanted for a while. Getting a tattoo can signify a variety of things to different people, and can function as more than permanent art. Some of you may get a tattoo to remember a loved one, memorialize a special date in your lifeline, motivate yourself, heal yourself, and so on. There are also those tattoos that exist solely as aesthetics, and they look pretty darn cool on human skin.